Barbour Tweed and Leather Belt. 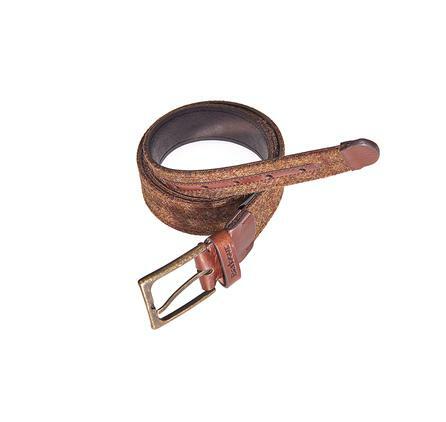 This Tweed and Leather Belt features 'Moons' sourced tweed fabric with leather trim. Sizes: M-L. Please select from the drop down menu below.SALE! These Barbour trousers for men are made from soft comfort stretch cord (98% cotton 2% Lycra) and have a comfort stretch waistband. They have an open centre back waistband and butterfly centre back seam. They also feature; a hidden coin pocket, brushed pocketing, a bound diamond crotch and a lower rise than other trousers in the Barbour range. Machine washable. Two side entry front pockets. Regular leg length 31 inches (79cm) inches. Long leg length 33 inches (84cm). 1 PAIR ONLY LEFT, SEE PULL DOWN MENU BELOW FOR DETAILS.